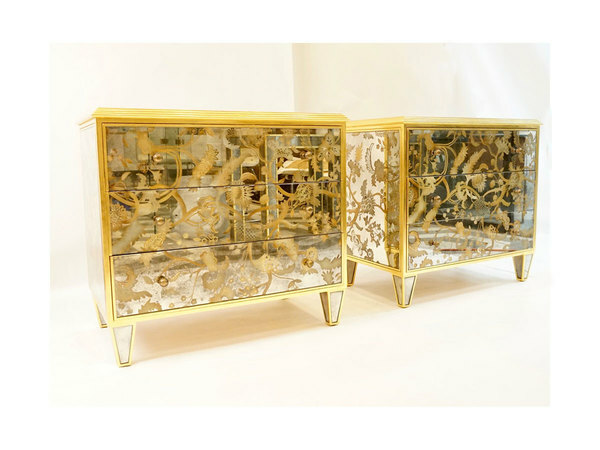 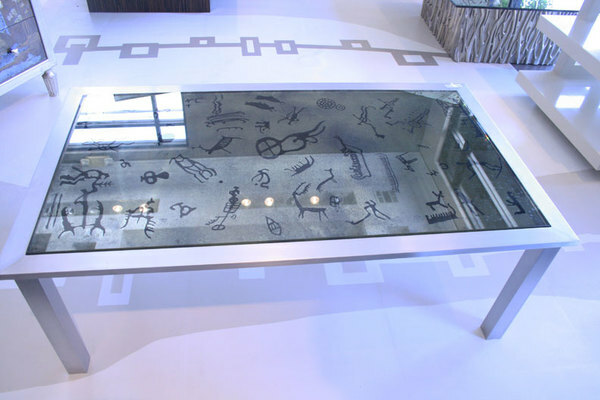 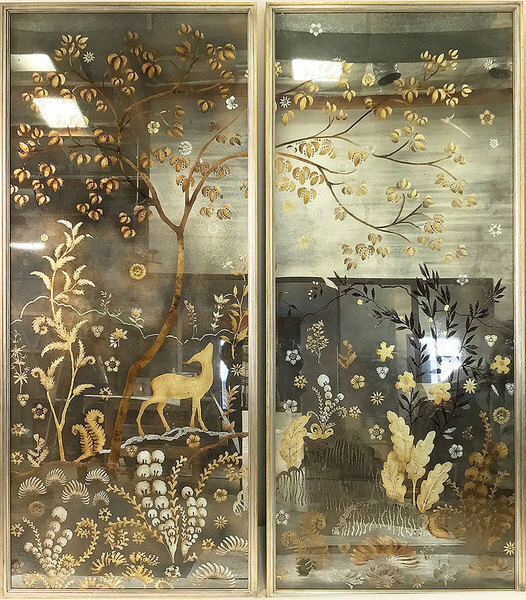 The variety of painted finishes and combinations of metal and chemical effects on glass are endless making this an exciting art form which is both dazzling and functional. 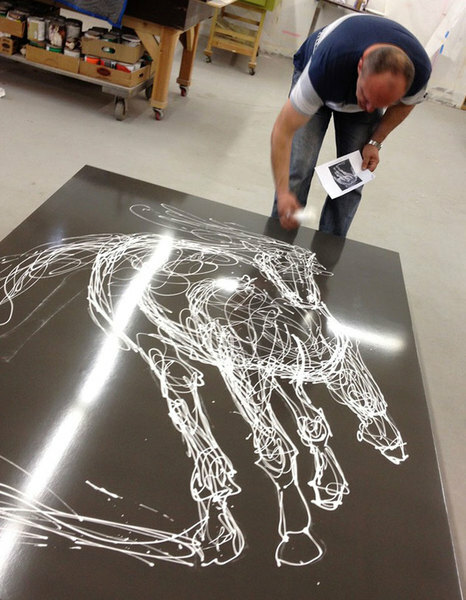 All work is done in the studio in California, but can be shipped anywhere worldwide. 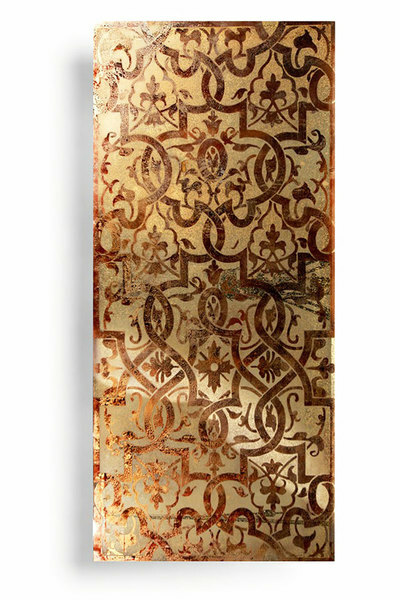 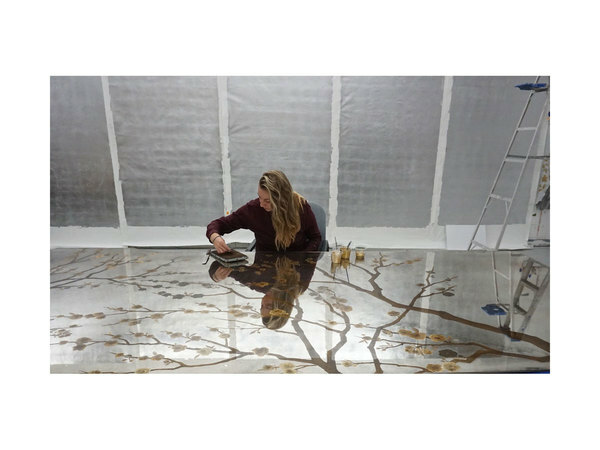 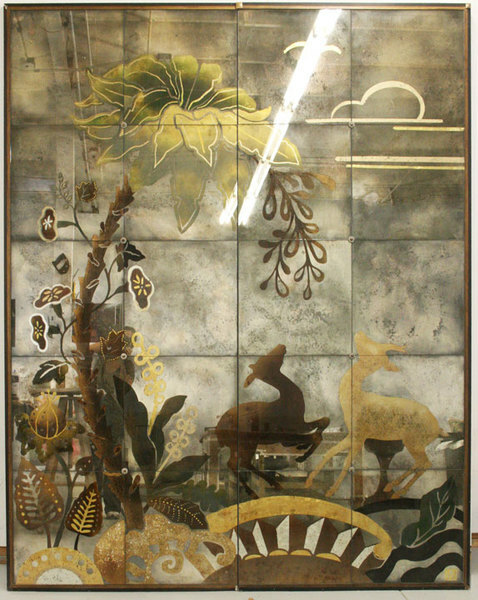 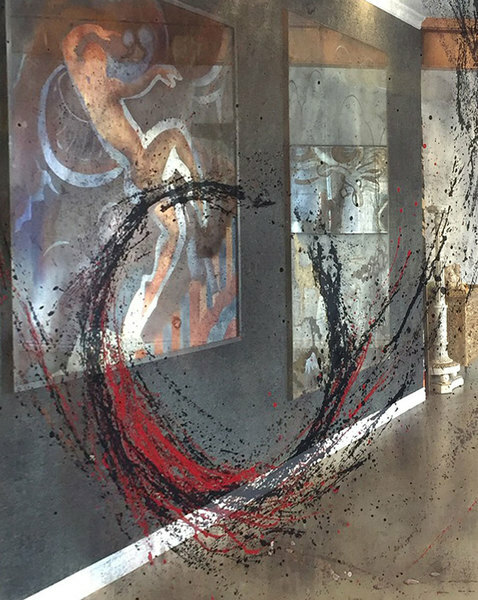 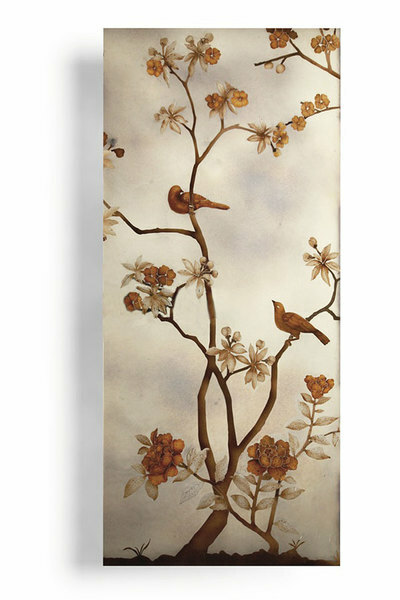 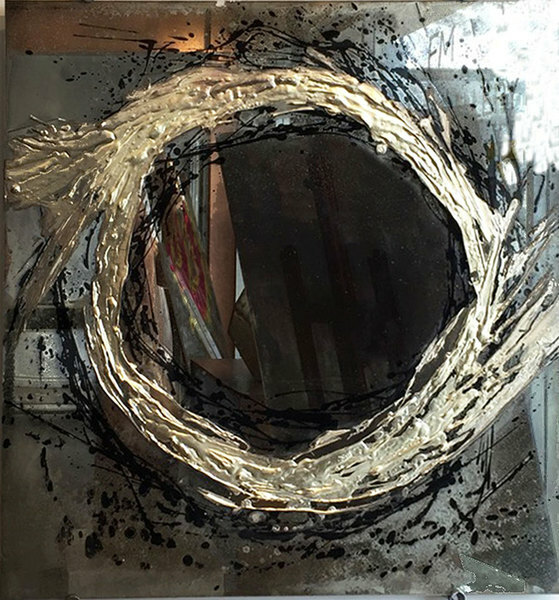 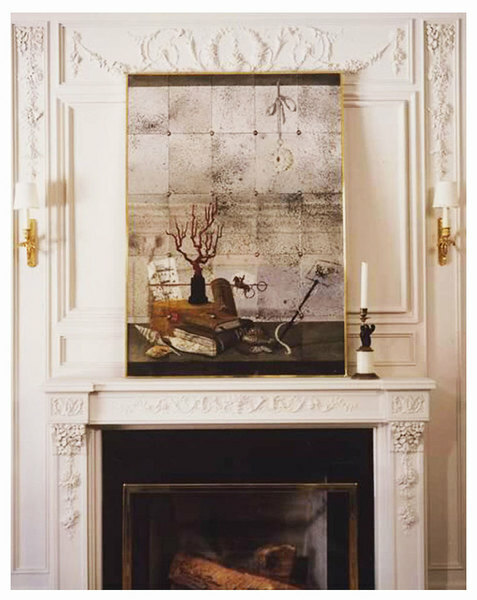 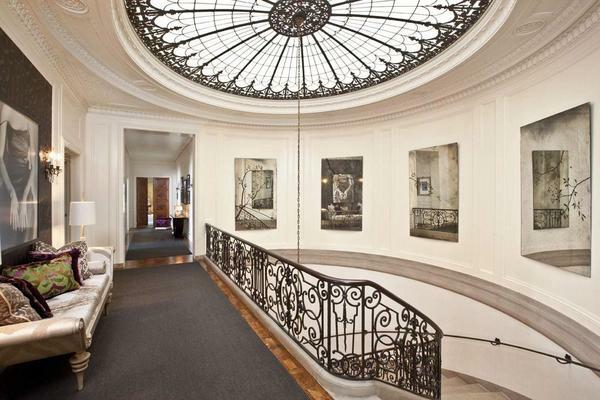 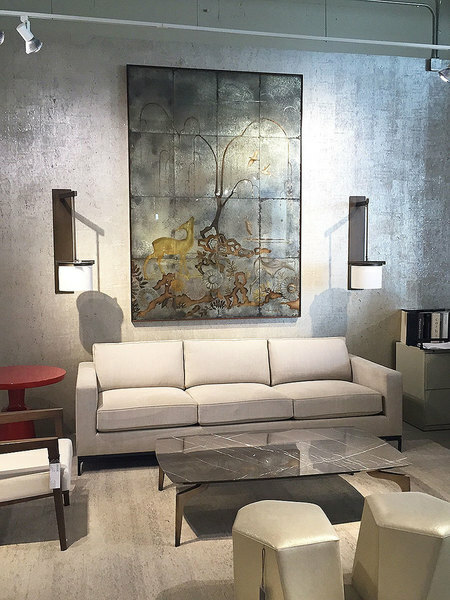 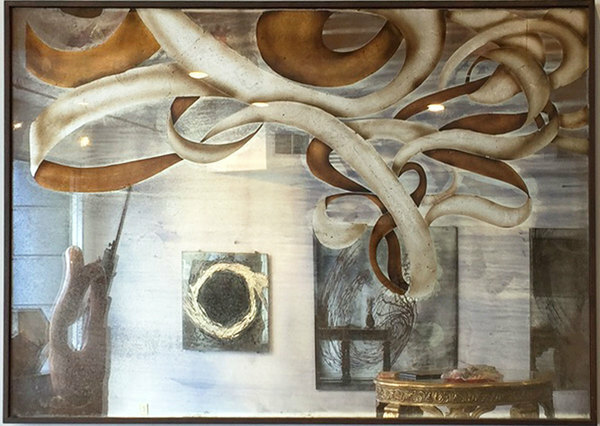 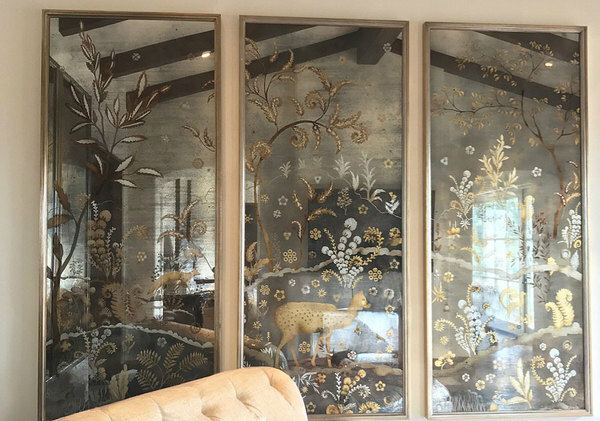 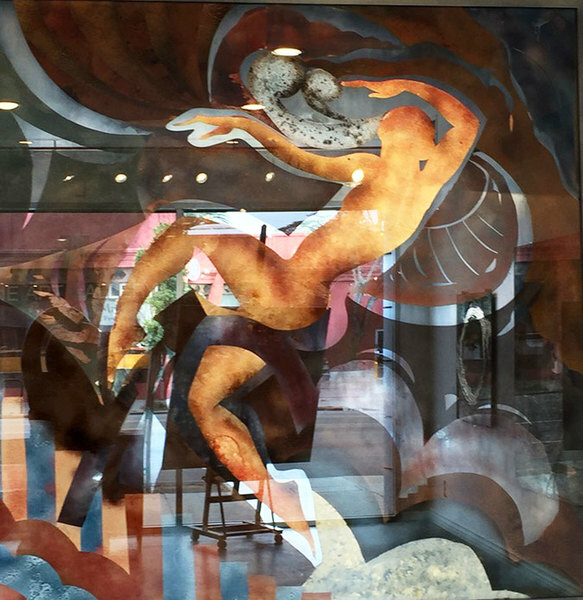 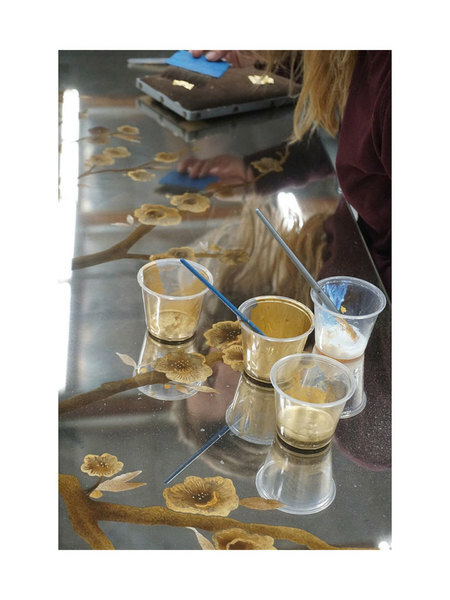 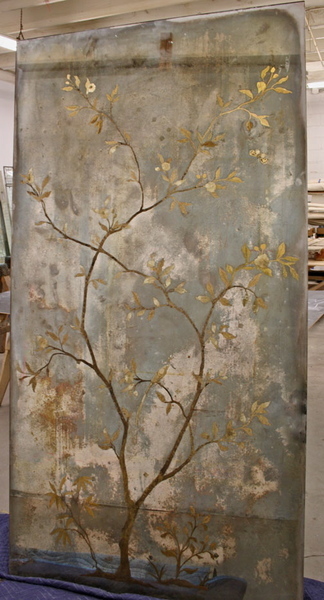 MJ Atelier's reverse painted artwork is offered on many types of glass finishes including hand processed antiqued mirror ranging from light to heavily tarnished silver, palladium gold, moon gold and colored glass. 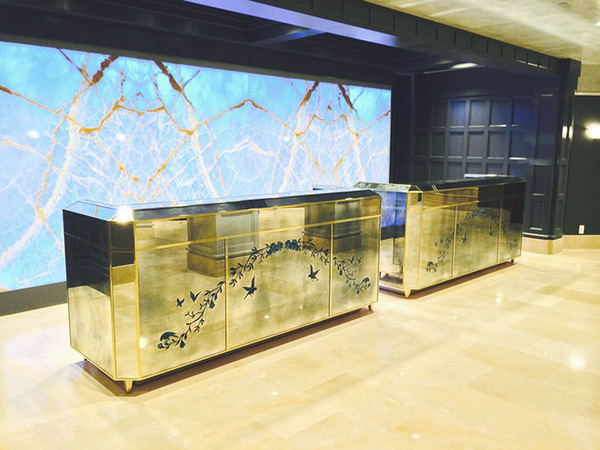 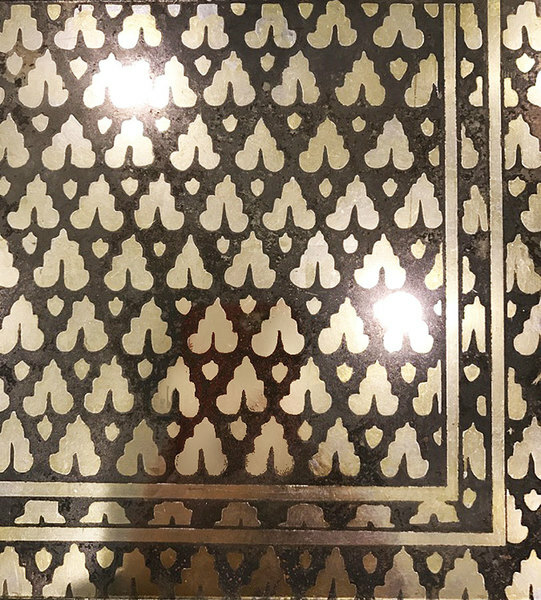 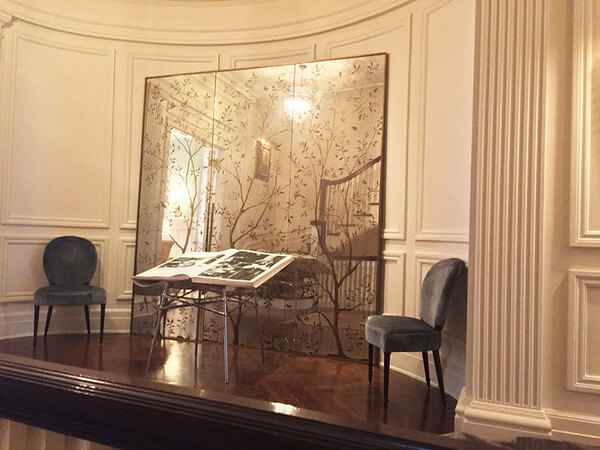 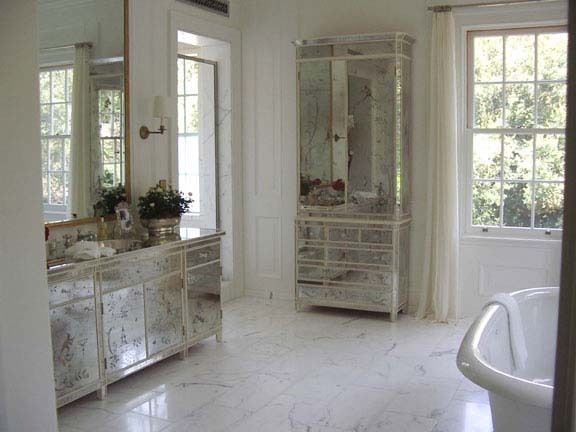 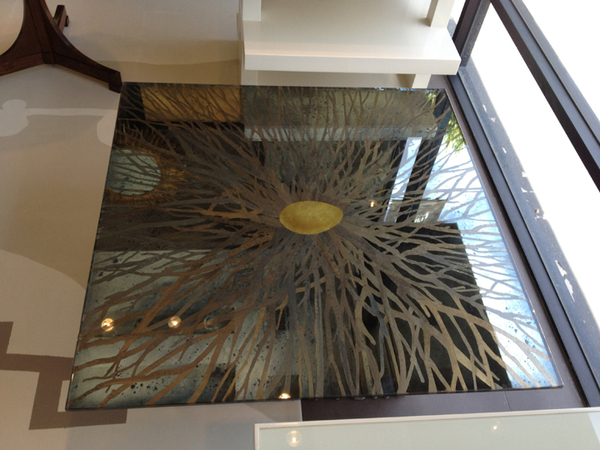 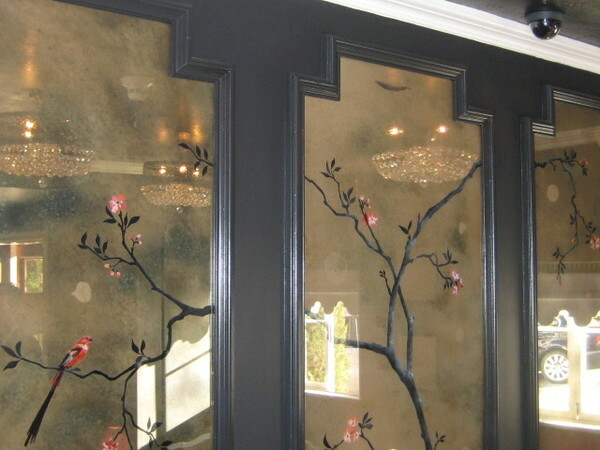 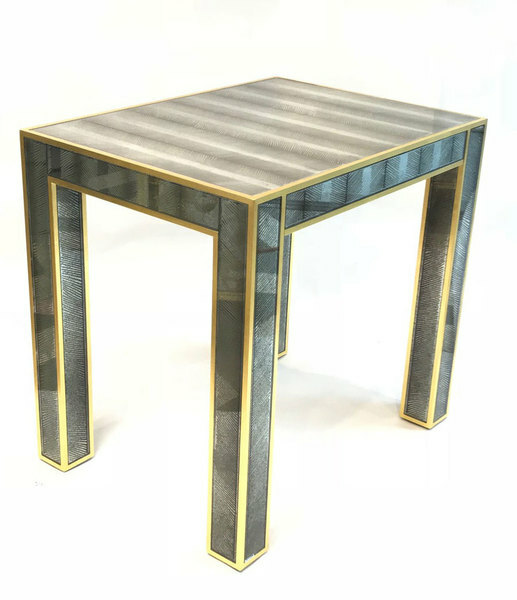 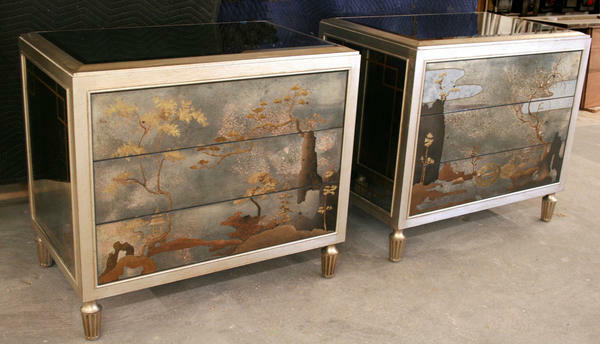 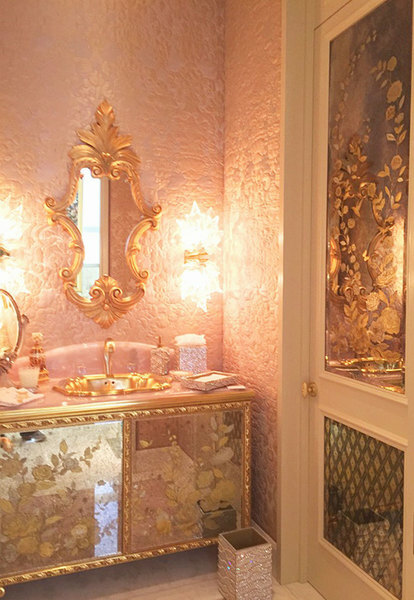 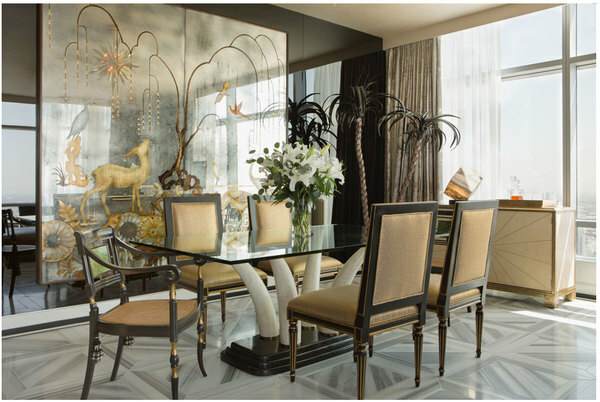 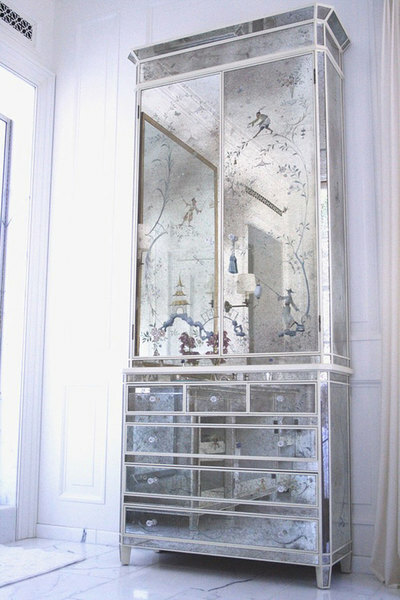 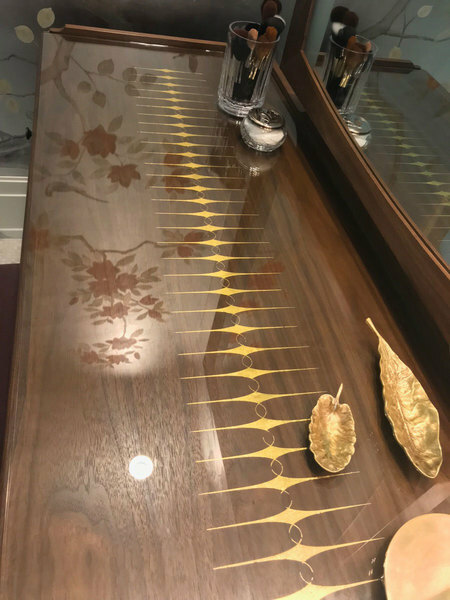 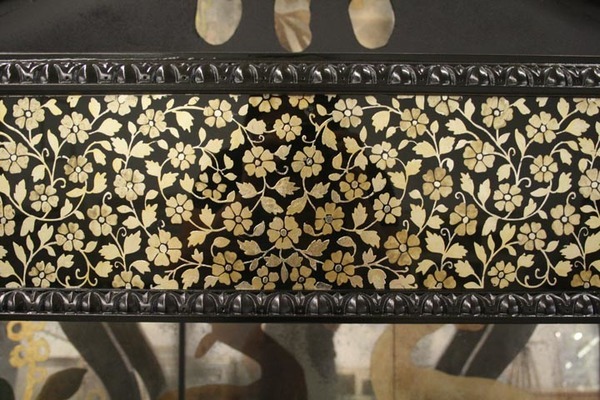 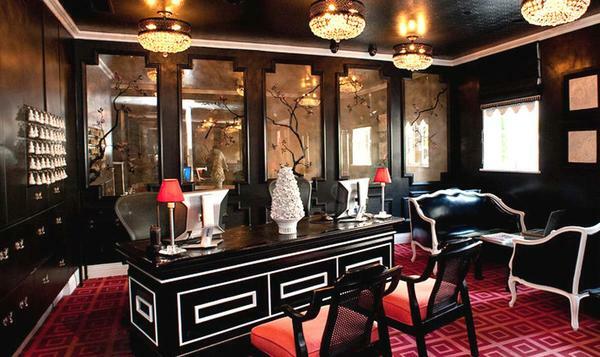 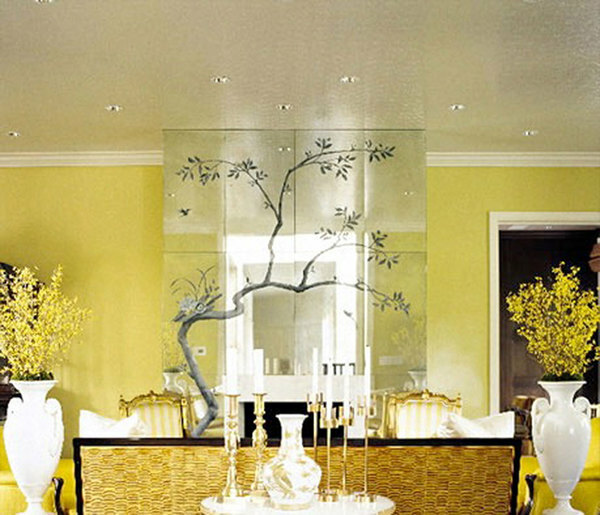 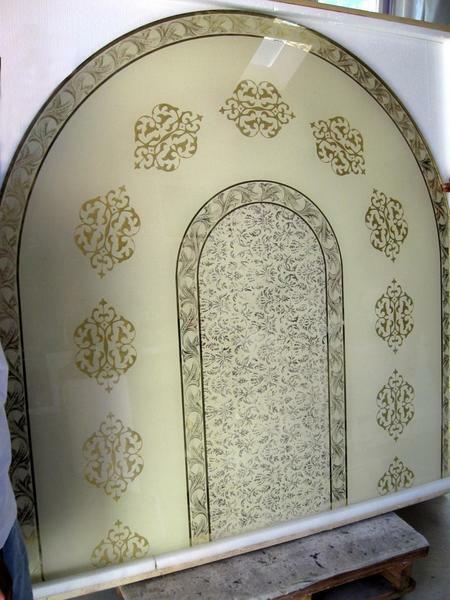 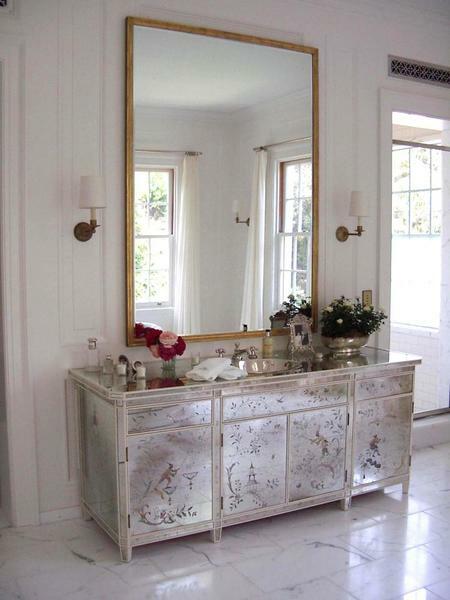 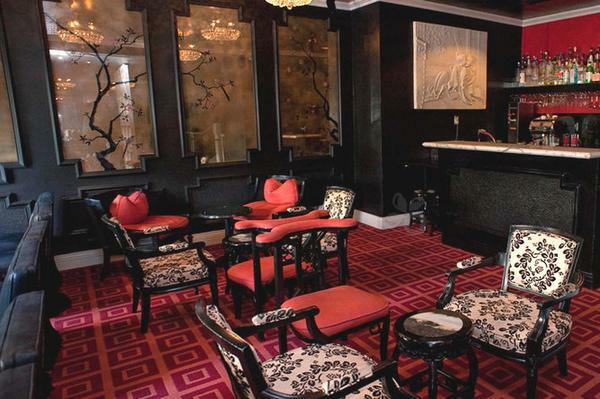 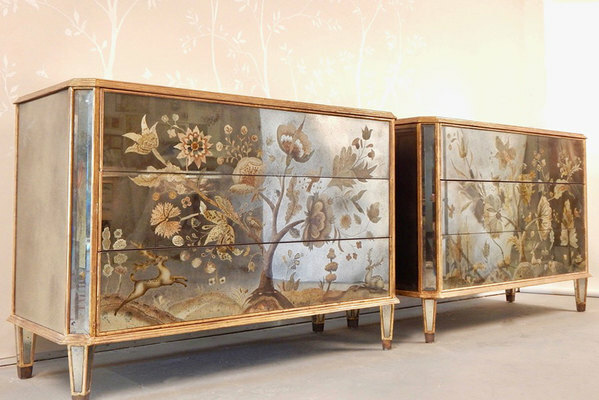 A few possible uses for gilded/painted glass include: table tops, cabinet door inserts, folding screens, kitchen/bath backsplashes and wall murals. 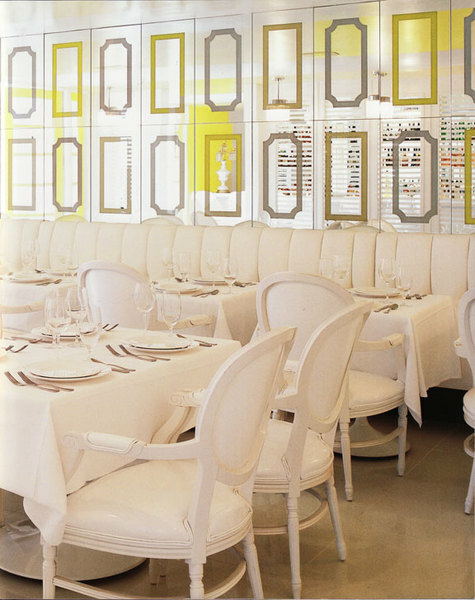 MJ Atelier is able to create continuous scenery transitioning through glass and onto wallcovering on a wall.